Soup is a cold-weather staple in households all across the country – and rightfully so! It’s the perfect way to warm up while providing your body with essential nutrients needed during the cold season. Classic broth-based soups are delish, but they can become boring early on in the season. Our creamy pureed soup is a simple solution. Made with northern beans and crispy bacon bits, these components will take the texture of your soup to the next level. Brace yourself taco fans, because after reading this recipe, you’re going to be making this soup on repeat. Prepared with a lean meat of your choosing and two types of high-protein beans, you’ll be shocked how a healthy soup can taste so good. 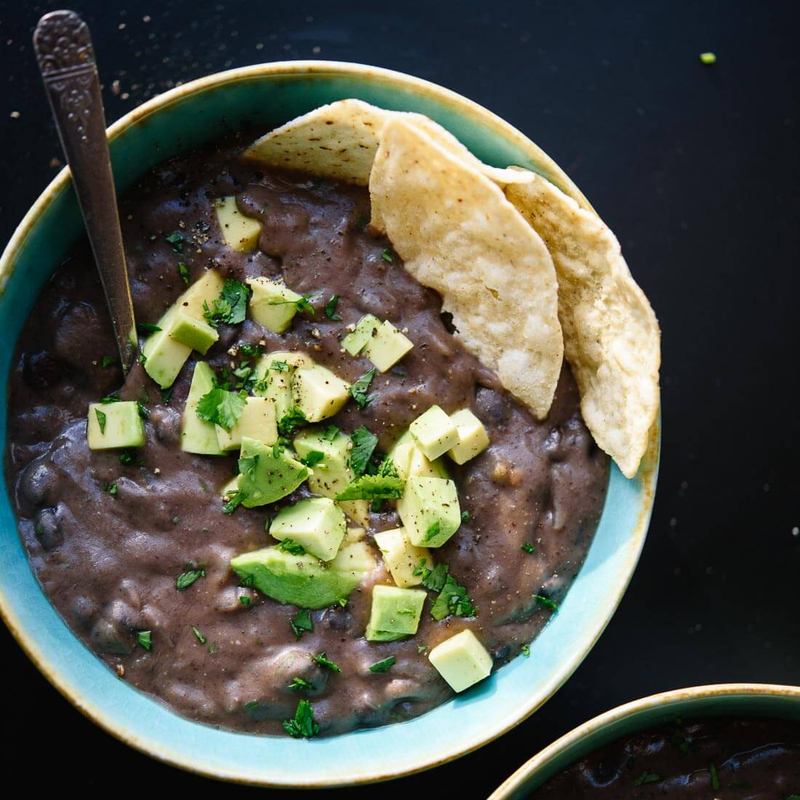 If you’ve never tried black bean soup, this recipe will soon become one of your favorite ways to use this high-protein ingredient. With the perfect amount of chunkiness and spice, this healthy soup is great for anyone looking to pack more nutrients into their diet. Next time you’re craving a creamier soup, give this unique veggie-based recipe a go. Organic green beans are the star of this dish, making this soup much healthier than its creamy counterparts. 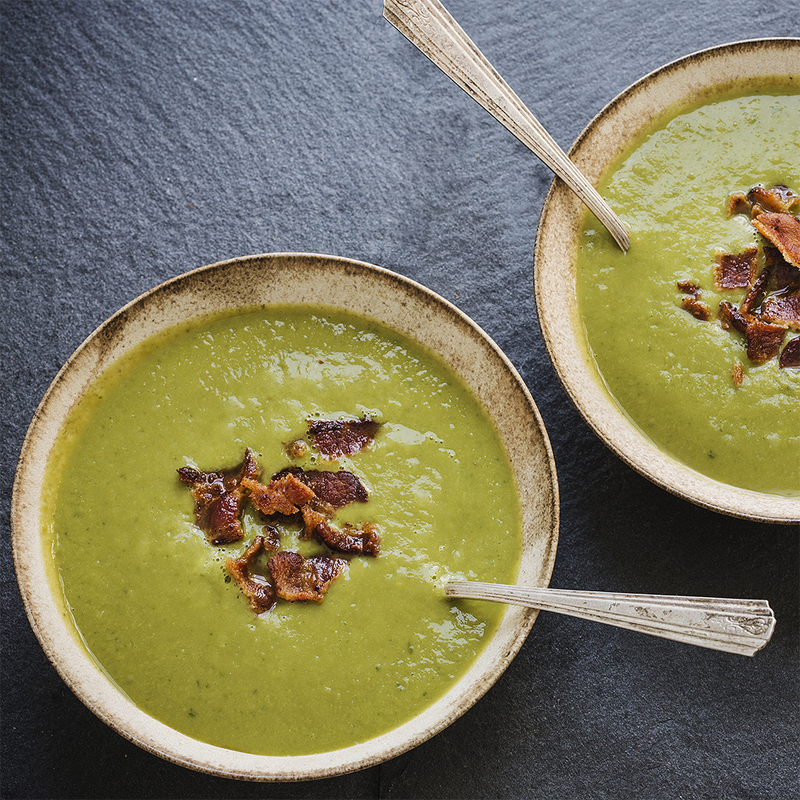 You can always count on pea soup to add more vitamins into your day. Next time you plan to cook up a batch, try our unique Green Valley variation. 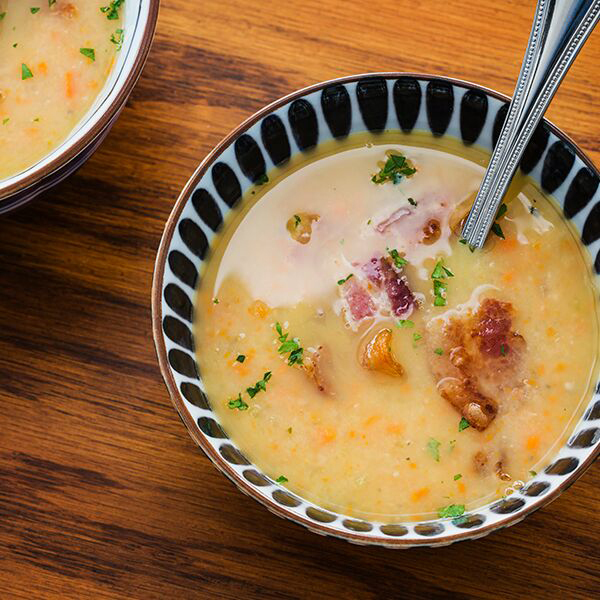 Flavored up with parmesan cheese and optional bacon bits, this one-of-a-kind recipe will bound to become your favorite way to make this soup. Our list wouldn’t be complete without a nutrient-dense veggie soup. This custom Green Valley recipe features an added punch of protein through the addition of organic Northern Beans. If you’ve never created a soup using pumpkin puree, you’ve certainly been missing out! Vibrant, smooth and subtly sweet, this original Green Valley Thai Pumpkin Soup recipe is one that you can’t go without trying. What was your favorite recipe? Share it with us on Facebook or Instagram for your chance to be featured!